Principal Life Insurance Company is an insurance provider for both businesses and individuals. Formed in 1879, it has held a continuous record for quality service in the fields of life insurance, disability insurance, and annuities. 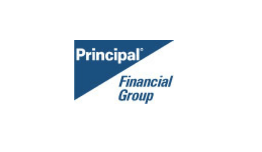 As a subsidiary of the Principal Financial Group, it also provides vision and dental insurance, as well as medical and drug plans. Principal Life products are available worldwide through a vast network of subsidiaries, agents, brokers, and financial service-oriented satellites. Term Insurance – A policy intended to protect an individual for a period of time that can range from 12 months to over 20 years. Principal Life also offers tax-free death benefits as well as renewable and conversion options that do not require re-application. Survivorship Life Insurance – An estate planning tool in which the benefits are payable after the death of the second person. Marital tax deductions are available to the spouse until he or she dies. Employer Disability Insurance – A policy designed to offer flexible alternatives to cover company needs. Specifically, long-term benefits include work incentives, survivor benefits, and assistance in site accommodations for disabled workers. Return-to-work and child care incentives along with retirement supplement packages are additional options. Long-Term Disability Program – Companies with 10 or more employees are eligible for this voluntary program tailored to protect employers from extensive financial obligation. Optional for employees, the plan does not require total disability for applicants, and offers return-to-work incentives. Other programs, available to employers for administration only, are wholly paid for by the employees. Part of Principal Life’s disability coverage involves rehabilitation services, which for many disabled employees, have successfully proven to decrease time away from work. Counseling, case management, financial assistance, and job modifications also contribute to the program’s vision. Group Health Insurance – Principal Life’s group health policies operate as Preferred Provider Organizations (PPO), with Community Care Network (CCN) as the provider. Employers can add vision coverage if at least 10 employees choose to be insured and if the company participates in at least one other Principal Life program.